What Is A Marble Polish For? 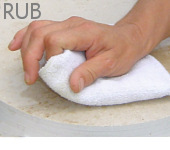 It's a polish used to repair surface damage on polished (calcite based) natural stones. Keep reading to learn how to polish marble like the pros! Why Use It To Polish Marble? Remove etches and ghost rings. Calcite based stones. 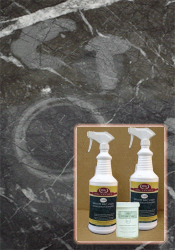 Use it on travertine, marble, limestone, onyx ... polished stone surfaces. 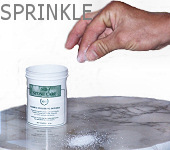 Use it on vertical or horizontal surfaces such as countertops, back splashes, vanities, showers, fireplaces, floors etc. Using the powder on Onyx? It's very important to test it on an out of the way area first. 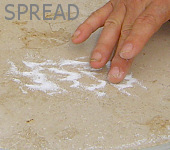 If you notice dull spots or rings on your stone. 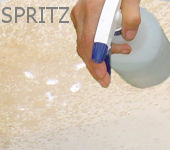 This polishing powder is used on slight to medium etches. Does the etched area feel really rough compared to the surrounding stone? 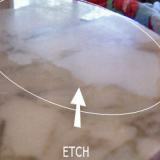 If so, the etch may be too deep for polishing powder to be effective. Hire a professional. 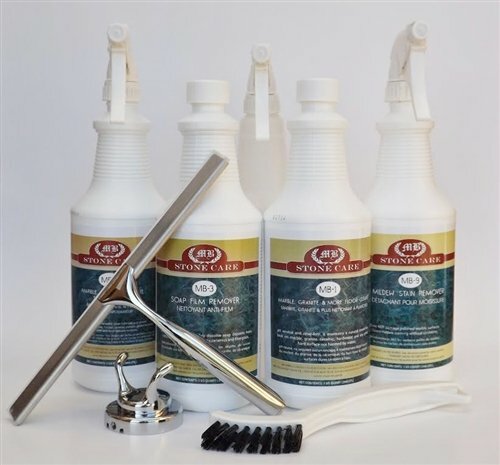 Clean your polished surface with a cleaner such as this daily cleaner. Apply a couple of pinches of powder over the dull spot and spread it evenly. Moisten the area using a spray bottle. Use a soft cloth and rub the powder into the surface using the heel of your hand (mild pressure) until the surface is dry and shiny. It shouldn't take more than a few strokes. Spray a little bit more water on your "spot" and rub in the remaining powder. Use a very slight pressure and work in a circular motion starting small and widening (blending the edges) until the surface is shiny and dry. Spray on a little bit of the daily spray cleaner for your final cleaning. How Long Does The Polishing Powder Take to Apply? Yes. As long as the etch isn't too deep. 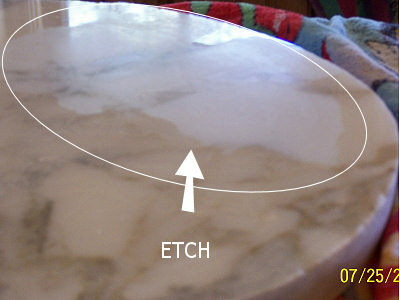 We tested the polishing powder on a small piece of marble. Cleaned the stone with this daily spray cleaner. Poured white vinegar on an area approximately 8" x 5". We let it sit for 10 minutes. Here is a close up of the etch. The etch was removed - no traces left! We went through the above steps three times in order to completely remove and blend in the area. The etched area was pretty big and felt a little rough but we were able to repair it. 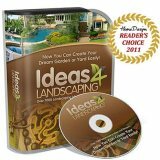 Light etches can usually be removed with one application. Please Note: The manufacturer suggests the marble polish is not meant to re-polish entire tops - it's made for spot polishing. BUT, this polish has successfully repaired entire tops! Just wanted to let you know I purchased the marble polishing powder as I had an etch mark on my sink top where something acidic had sat and leaked. ... the marble polishing powder works like a charm. Thank you!! I ordered your marble polishing powder to restore our limestone vanity counter. 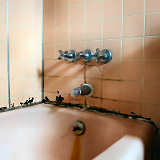 It was badly etched as a result of using commercial bathroom cleaning product on it. my counter is again beautiful. THANK YOU.